Discovered "Go West Feral Woman" this afternoon. I'm loving her politics and just may become a dues paying member! I hope you like her pages. I'll have to go take a look. It's always fun to discover cool bloggers. I love discovering new bloggers, too. It's like finding a new friend in a box of Cracker Jacks! Beautiful photo. I will check out your recommendation. Thank you. 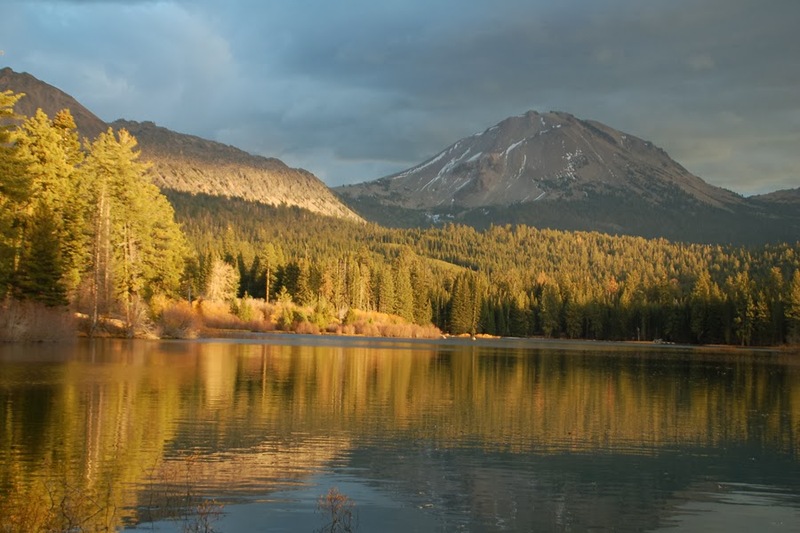 Photo is Lake Manzanita and Mt. Lassen in the October. loved the beautiful calm view sooo much! Thank you, Baili. I'm glad you liked the photo.